Over the past decade, Deep Learning has significantly advanced the field of computer vision, addressing fundamental visual tasks that humans take for granted, including detection, classification and even scene description. With proper training data, they are able to address some of the basic challenges including variations in pose, variations in illumination and finding objects in a cluttered background. Additional challenges are introduced, however, when addressing the problem of image or video quality assessment (IQA). Traditional assumptions such as the ability to rescale images to a uniform size, or normalizing pixel values may cause problems in this domain. Ultimately, our goal is to preserve the data so that features can be extracted without bias. In this talk, we will address some general problems surrounding document image, scene image and video no reference quality estimation. We will highlight some of the work we have done to develop a convolutional neural network approach for IQA which operates on image patches rather than on pixels, and achieves state of the art results. We will also describe how we have adapted similar approaches to address document image quality and video image quality assessment which have their own set of challenges. In addition to the successes, we will provide some insight into ongoing work and problems yet to be solved. 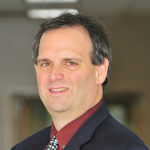 Dr. David Doermann is a faculty member in the Institute for Advanced Computer Studies, the Director of the Laboratory for Language and Media Processing at the University of Maryland, College Park and an adjunct member of the graduate faculty for the Department of Computer Science and the Department of Electrical and Computer Engineering. His group of researchers has focused on topics related to analysis and processing of document page images and video processing. More recently they have focused more intensely on mobile applications and the application of machine learning in these areas. David has over 250 publications in conferences and journals, is a fellow of the IEEE and IAPR, and is a founding Editor-in-Chief of the International Journal on Document Analysis and Recognition. He is currently on assignment as a program manager to DARPA, running programs in the areas of computer vision and signal processing.